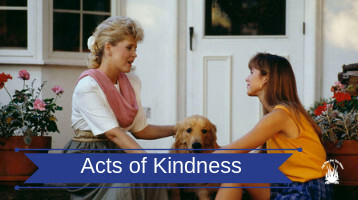 Welcome to these various acts of kindness which we hope will warm and uplift your heart in these turbulent and uncertain times, that we are living in, but also remind you of the kindness in this world. Please try and be kind to people that you meet, wherever it is possible, as most of us are fighting the daily battle called life. Thank you. Please click here now or on the picture below.